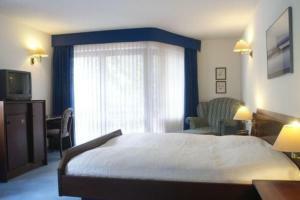 A garden with terrace, free Wi-Fi, and classical-style rooms with satellite TV are offered by this non-smoking hotel. Stuttgart Central Station is 1.5 km away. 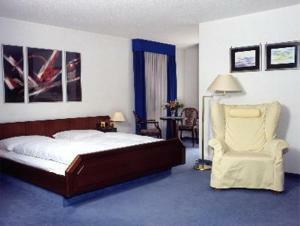 The quietly located Hotel Astoria Am Urachplatz has brightly decorated rooms with seating area, desk, and safety deposit box. All include a private bathroom with hairdryer. Daily buffet breakfasts can be enjoyed in the Stuttgart Astoria’s conservatory restaurant or outside on the terrace. Varied snacks are available in the bar. The Urachplatz bus stop outside the Hotel Astoria offers direct connections to the Königstraße shopping street. Some private parking spaces are available.